Om Shri BhuvaneswariMoorthaye Namah! Om Shri BhuvaneswariMoorthaye Namah! 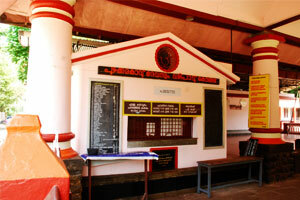 Thank you for visiting the official website of Puzhakkarakavu Bhagavathy! 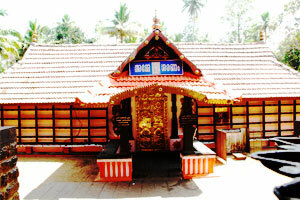 Main entrance to Nalambalam. Darsan of Bhagavathy can be done from the Anakkottil itself as the line of sight is not blocked anywhere on the way to the thirunada. The tickets for various sevas and prasadams are distributed here. 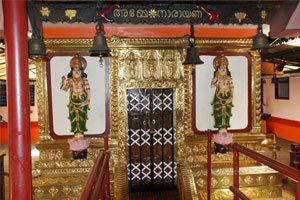 The idol of Bhagavathy adorned with various garlands and Thiruabharanam could be viewd in its full glory. © Copyright 2014 Puzhakkarakavu Devaswam Trust, Muvattupuzha. Design partner - Penguin Systems, Muvattupuzha.